Learn Like a Pro! Welcome to Effective Learning (EL115)–for Students and Instructors – How to Learn Like a Pro! To the Student, Part 1: Welcome! When it comes to learning, many students don’t give it much more thought than, well, they just need to pay attention, take good notes (if they can figure out how), and study hard enough to pass the tests, assuming they will likely have about as much trouble or success as they have always had. The smart people, it seems, along with those who are naturally organized, will always do better, and people not born with those advantages will just have to try to get by as best they can. And most people have some kind of learning struggle in one area or another of school, on the job, or wherever else new material needs to be learned. Thanks to education research and development in the last fifty years or so, there are now many more strategies, methods, and perspectives available to help us all succeed, to help us all “learn like a professional,” despite past struggles. Fortunately, many advancements have been made in the study of how people learn, how our brains function, and even how we can use strategies we hadn’t thought of before – for example, this online text – to become the most effective learners we can be. That is the purpose of the lessons in this book. There are numerous skills and strategies involved in effective learning. Time management, goal setting, note-taking, reading critically, applying memory techniques, and employing good test-taking strategies are but a few. This Open Education Resource (OER) is designed to assist you in your quest for success both inside and outside of academia because understanding how to engage effectively in any learning environment applies not only at school but also at work, home, and within the community. 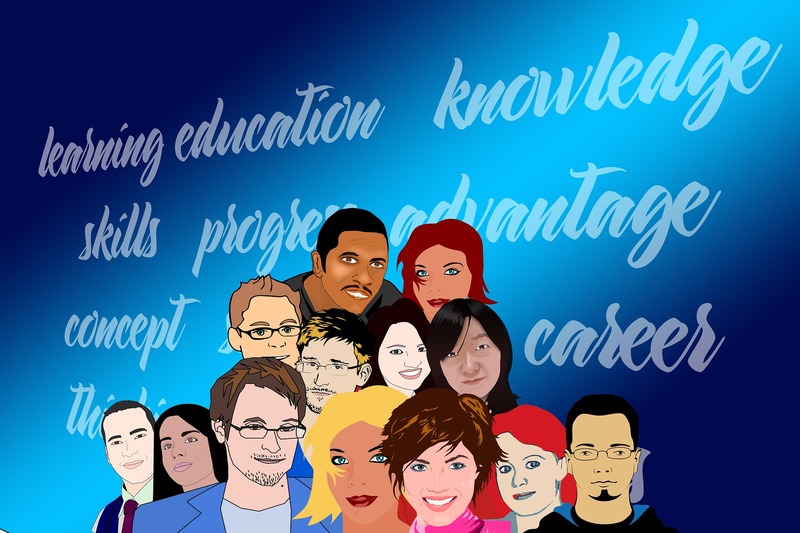 The lessons are designed for educational institutions that include community colleges and alternative higher education settings where the learner demographic includes not only young, single people but also older people who may have entered higher education for the first time or who are returning after some years. It includes displaced or disabled workers who have to re-train for a different field of employment, ex-military people who are now accessing their educational benefits, and international students. It includes single moms and dads, people with part- and full- time jobs, and those actively seeking employment as the term ensues. In short, this course was designed keeping in mind all of the kinds of learners that we might serve, you, in your unique situation, among them. In the lessons that follow, you will study excerpts from the experts on effective learning, thinking, and reading; experience a variety of presentation formats; and have plenty of opportunities to practice what you learn. The course will include a portfolio project as a take-home mid-term, and another portfolio project as a take-home final in which you will have the opportunity to gather what works for you from the variety of effective learning strategies provided throughout the course . The take-home mid-term project will conclude Units 1-3, and the take-home final will conclude Units 4-6. Lane Community College’s EL115 course is offered through our Academic Learning Skills Department. Although it is part of our developmental education offerings, the credits we assign are transferable to colleges and universities. This particular course is designed to meet face-to-face, twice per week, for 1.5 hours per class, or some other configuration of times and days to total approximately 30 hours of instruction. It meets for an eleven-week term, the last week reserved for finals or presentations depending upon the class. However, with the addition of optional assignments and activities listed at the end of each unit, there is enough material for a full semester, as well. NOTE: Lane also features a visit to the college library as part of this course, when it can be scheduled, for an introductory site tour and a tour of online library resources. a Glossary of Terms, also featured in the lesson in which they appear. a complete, linked list of Lane Instructor Dan Hodges’ “Study Tips”. Several of the tips and excerpts are referenced in the lessons. Phyllis Nissila has taught Effective Learning and Study Skills classes in high schools and community colleges for over twenty years. She also teaches writing and college preparatory classes at Lane. Nissila has been a freelance and contracted writer for over thirty years, with credits including newspaper reportage, feature articles, and human interest/inspirational magazine articles and devotionals. She is an award-wining former humor (newspaper) columnist. She is the author of Sentence CPR, Breathing Life Into Sentences That Might As Well Be Pushing Up Daisies! (Prufrock Press/Cottonwood Press, grades 7-adult) and sells humor-based language arts lessons and worksheets through TeachersPayTeachers.com.